Featuring the architecture of digital media building,s and the pixelated faces of those media CEO’s. Internet Giants uses the first floor of Ikon Gallery in a direct and stripped back manner. Without even labelling the pieces there’s an audio walk through available, or you can just speak to the informed staff watching over each space. Today, Suffragist Millicent Fawcett has become the first woman in history to have a statue in Parliament Square. Installed on the site of many demonstrations and protests, flanked by the Palace of Westminster, Fawcett joins statues of eleven men including Abraham Lincoln, Winston Churchill and Mahatma Gandhi. 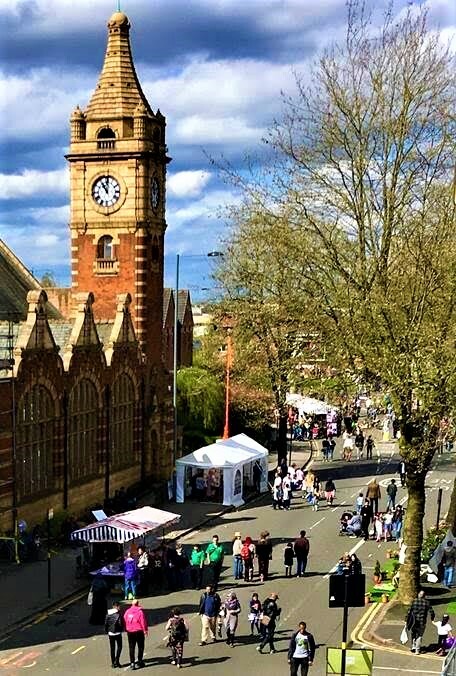 Balsall Heath Street Festival was a great success and brought together the diverse communities of Balsall Heath with street food and open access to public buildings like Moseley Road Baths which has been saved for the City of Birmingham and for the citizens of #Birmingham to use…. ‘We Are Balsall Heath’ Street Festival on Sunday brought together the diverse communities of Balsall Heath. The Moseley Road was closed until 7pm and people enjoyed artists performances, a food hub representing dishes from all communities, street stalls, open doors to community buildings, heritage trails, games and much more. The organisers had stalls along the route – above: the Friends of Moseley Road Baths stall in front of Moseley Road Baths. 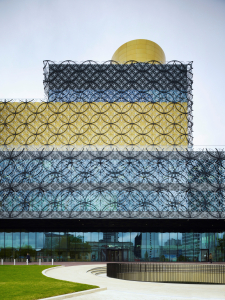 The Library of Birmingham deserves to have its reputation burnished wherever possible. 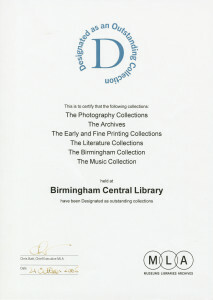 Whilst the building is just two years old, it houses a venerable institution whose wonderful collections have been developed and enhanced by archivists, librarians, donors and contributors for 150 years. 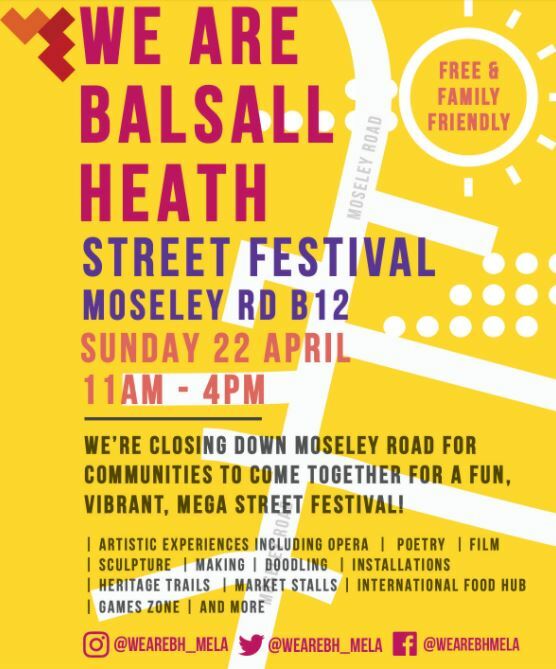 MELA social enterprise’s new ‘We Are’ neighbourhood campaign will start with ‘We Are Balsall Heath’ Street Festival on Sunday April 22 bringing together the diverse communities of Balsall Heath.